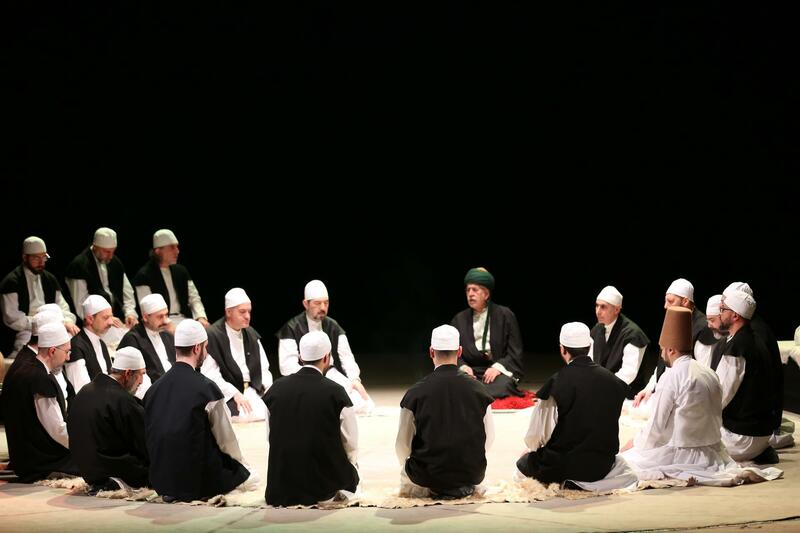 Yunus Emre Institute's Baku branch has organized the Panel on Seyyid Yahya Şirvan-i Bakuvi as part of the Sufi Tradition and the Turkish Sufi Music concert in Baku, the capital of Azerbaijan, in collaboration with the Fund for Dissemination of Azerbaijan's National Values. 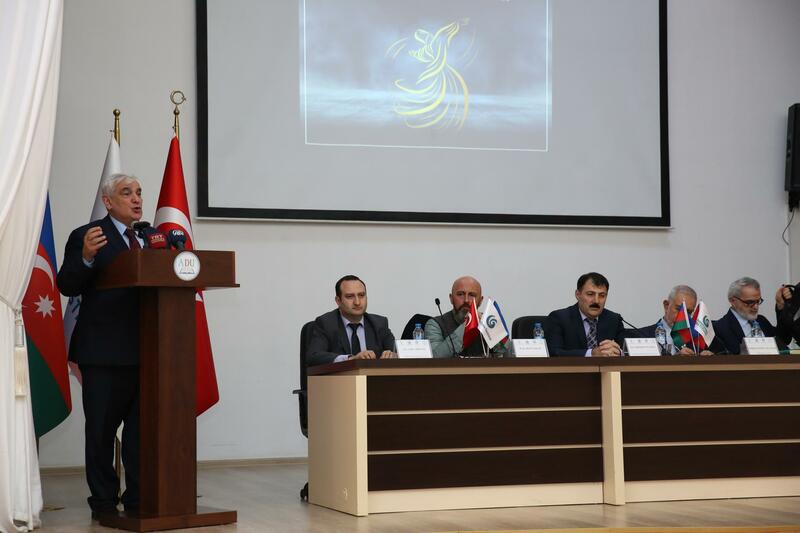 The panel was held at Azerbaijan University of Languages (ADU) on Monday, January 28, and attended by Yunus Emre Institute President Prof. Dr. Şeref Ateş, ADU President Prof. Dr. Kamal Abdulla, Deputy Chairman of State Committee in Charge of Religious Institutions in Azerbaijan Seyyad Salahlı, Azerbaijani parliamentarians Hikmet Babaoğlu, Ganire Paşayeva, Sona Aliyeva, academics and students. 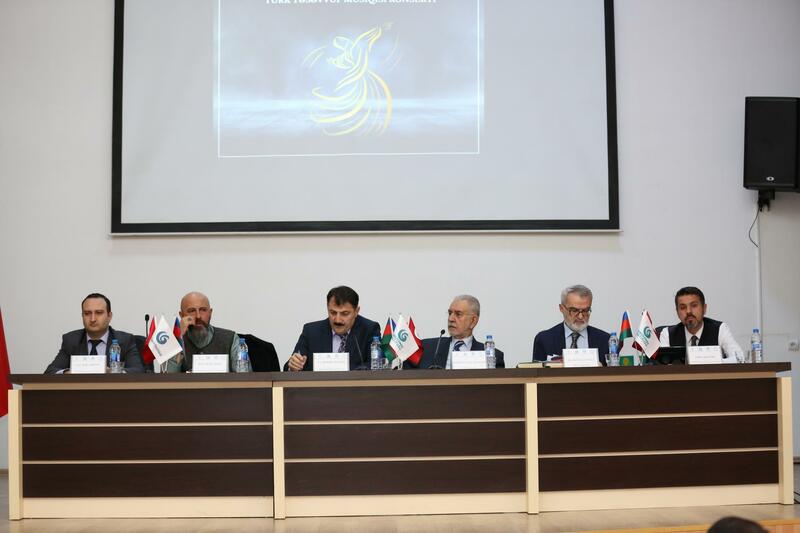 Ömer Tuğrul İnançer, Ümit Akdemir, Dr. Mustafa Tatçı, Prof. Dr. Metin İzeti, and Azerbaijan Theology Institute academics Aqil Şirinov and Ahmed Niyazov attended as keynote speakers to the panel that focused on the life of Seyyid Yahya Şirvani-i Bakuvi, a sheikh raised in Azerbaijan, but also known in the Caucasus, Iran, Iraq and Anatolia. 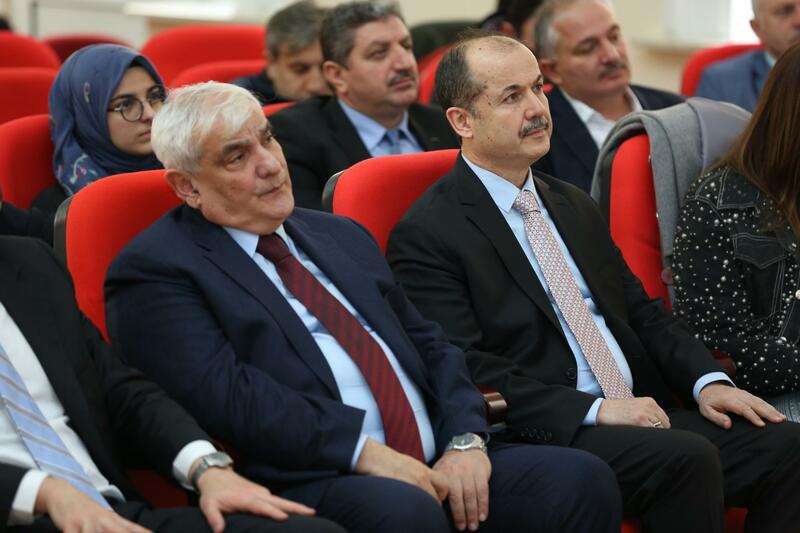 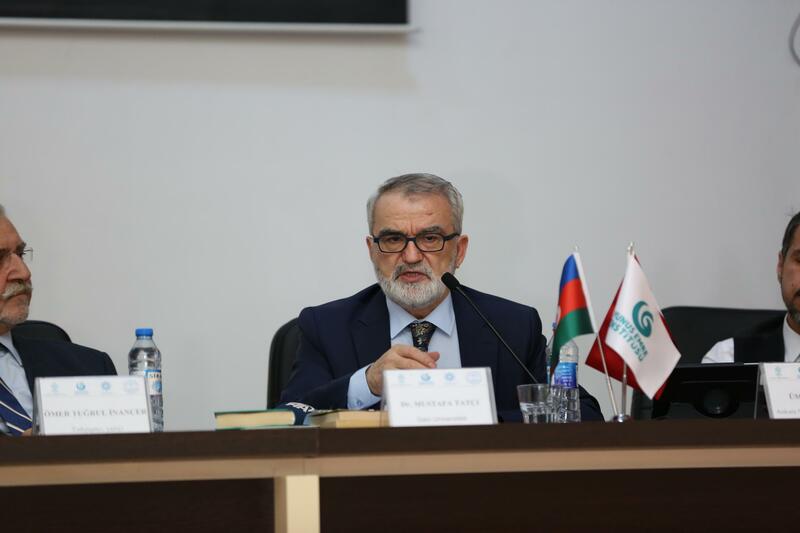 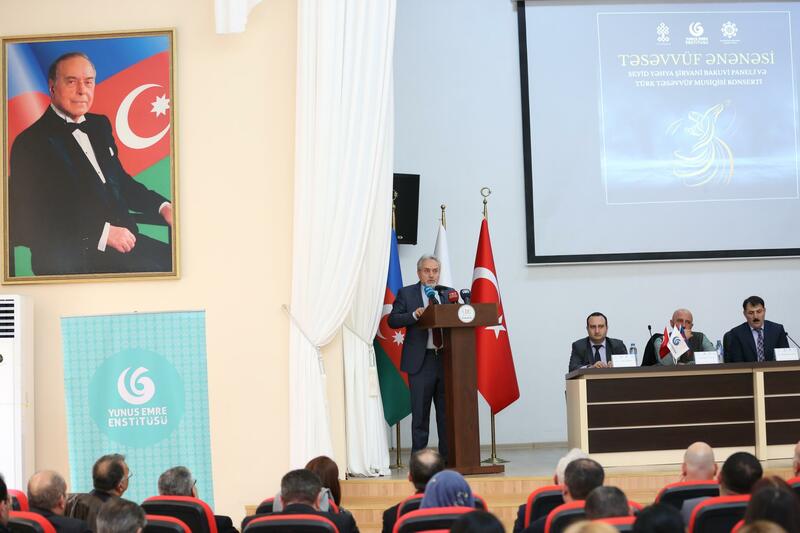 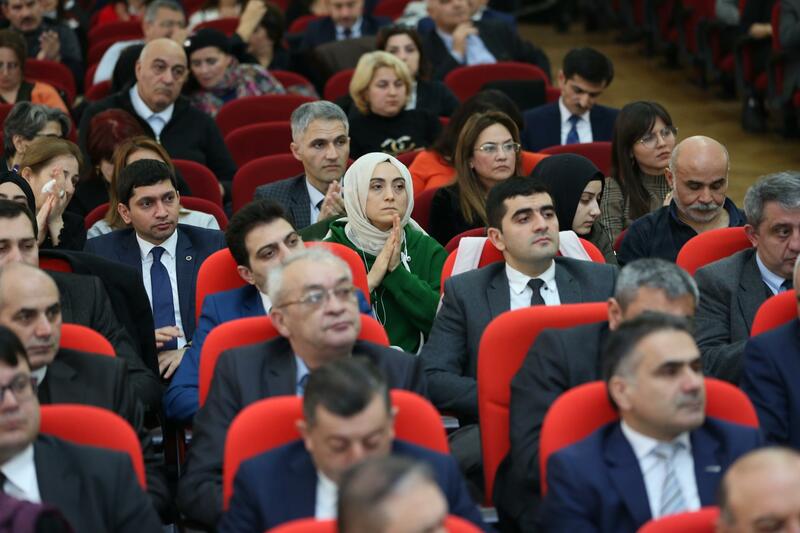 Commenting on the program, Institute President Şeref Ateş pointed out that Seyyid Yahya Şirvani, who spearheaded the promotion of the spiritual values collected referred to as a Anatolian virtue, is a colossal asset both for Azerbaijan and Anatolia. 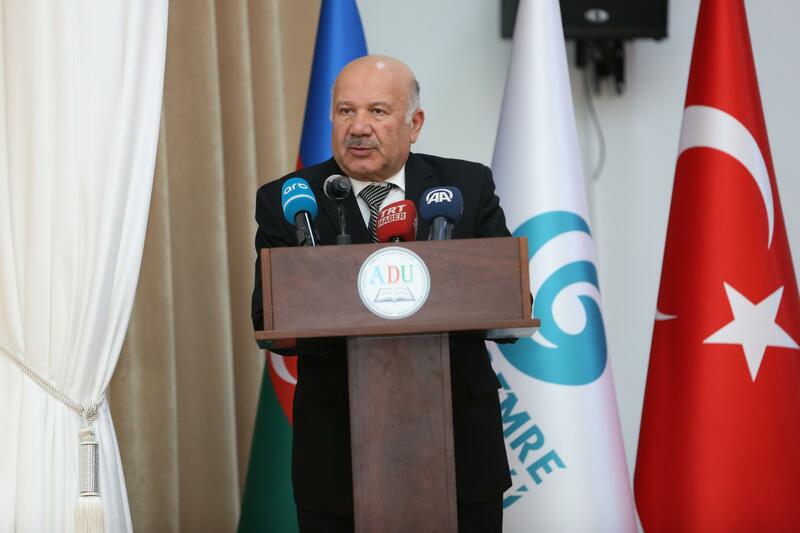 "We have to demonstrate the real-life applications of the one-nation-two-states rhetoric. 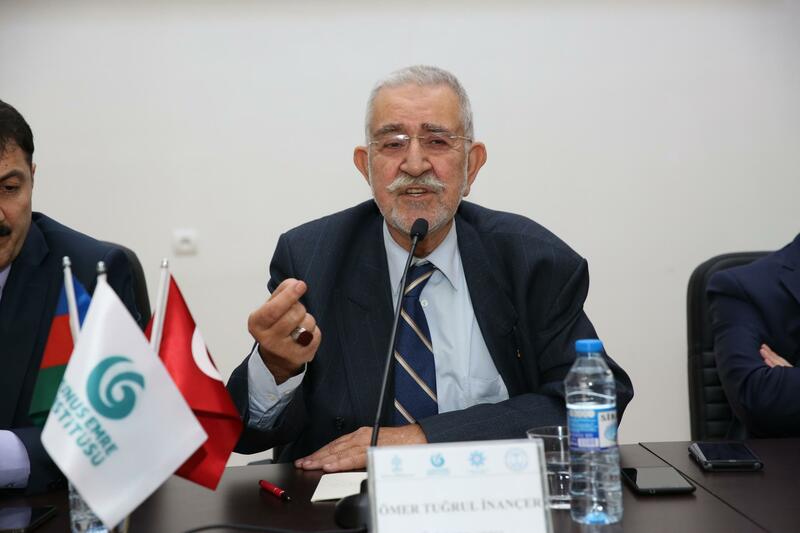 Our aim is to bring to the agenda and promote this asset, made possible by Ahmet Yesevi and his school, and partially forgotten, as well as his philosophy and views, promote him in Turkey and re-establish a link with Turkey," he said. 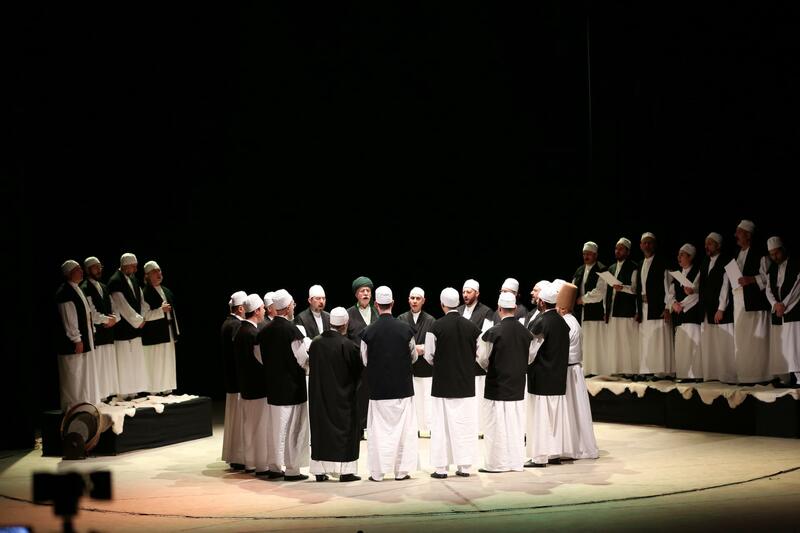 Following the panel group, the Turkish Sufi Music Foundation's Istanbul Historical Turkish Music Group gave a concert at Azerbaijan Young Performing Artists Theater. 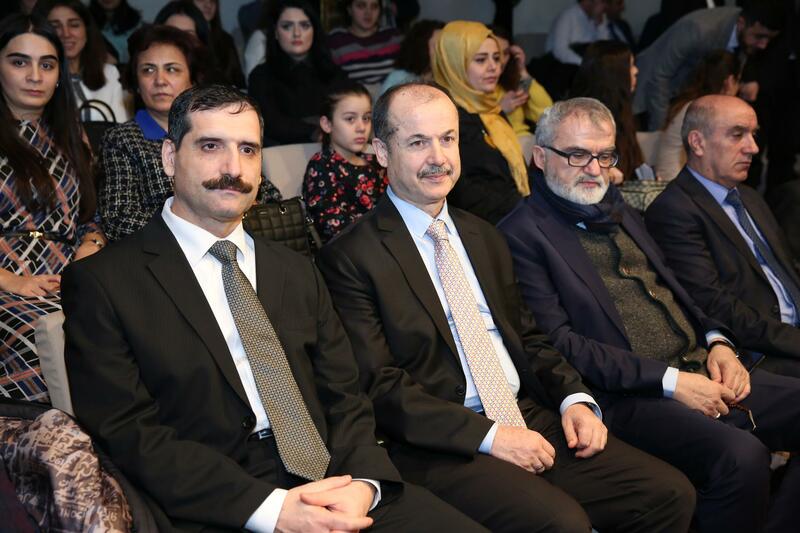 Ambassador of Turkey to Baku Erkan Özoral, Chairman of State Committee in Charge of Religious Institutions in Azerbaijan Mübariz Kurbanlı, Representative of the Turkish Republic of Northern Cyprus (KKTC) in Baku Ufuk Turganer, Deputy Chairman of State Committee on Working with Religious Institutions Seyyad Salahlı, Azerbaijani parliamentarians Hikmet Babaoğlu, Ganire Paşayeva, and Sona Aliyeva, Azerbaijan State Pedagogical University Rector Cefer Ceferov as well as numerous guests attended the concert. 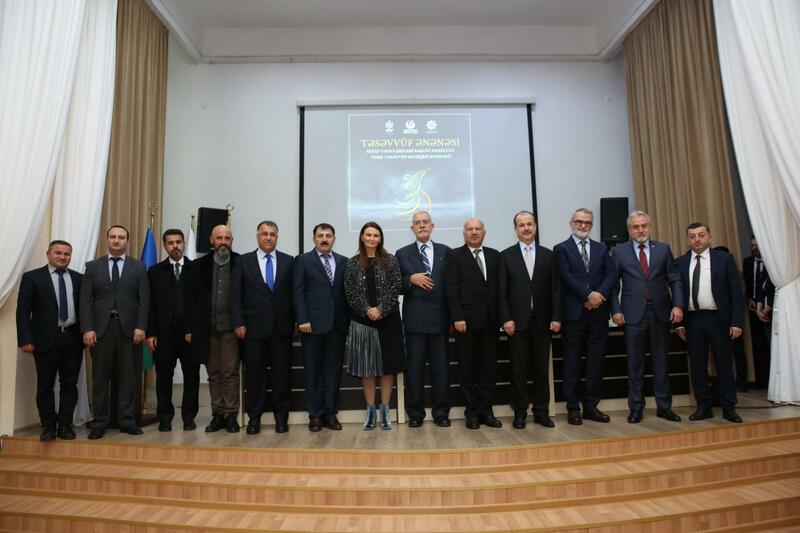 The panel and concert program will be held at Shamakhi City Training and Culture Center in the Azerbaijani city of Shamakhi, on January 29, 2019.